Explore an afternoon of meditative movement, dirty hands, and deepening roots with Wildlight Yoga and Plant Shop Chicago. 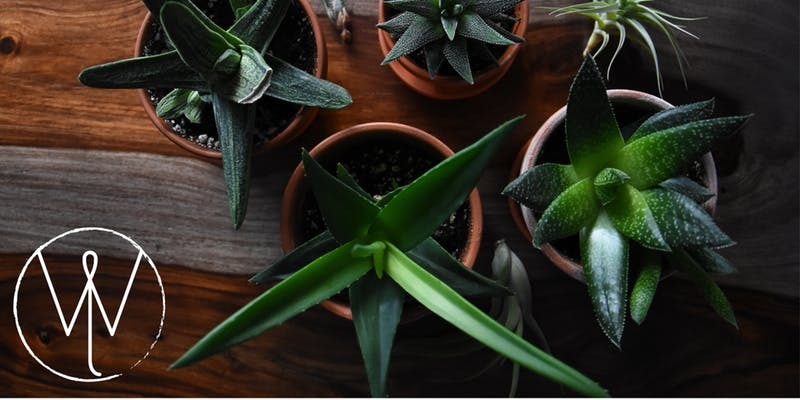 Ozzy, co-owner of Plant Shop Chicago, will offer students a healthy selection of plants, soil, and pots while guiding students in a hands-on experience, demonstration, and Q+A regarding houseplant care and maintenance, watering, repotting, and propogation. Houseplants, cacti, and succulents will be the focus. After students have potted their plants, we'll place them at the corner of our mats and Kelli Wefenstette, self-professed 'plant mom' and lover of all things green and growing, will lead students in a deep roots and wings Hatha yoga class to center the mind and harness all that green energy for growth. A small nursery in Mayfair/Albany Park, Plant Shop encourages people to add more green in their homes through education, workshops, and classes regarding which plants fit best with their lifestyle, environment, schedule, and budget. Kelli Wefenstette is a rural-rooted, urban-planted community organizer who engages neighborhood revitalization through the cultivation and promotion of arts, placemaking, urban agriculture, and economic development. She is trained in Asset Based Community Development and utilizes extensive experience in special event programming for urban planning. Today, she serves as the Executive Director of a community economic development non-profit on Chicago's northwest side, mentors small and aspiring business owners, and owns Wildlight Yoga in Portage Park. No experience necessary. Mats and props will be provided by Wildlight Yoga, 4140 N. Milwaukee Ave. All students will take home a houseplant. Admission is $50. Members receive 10% off. Pre-registration is required. Students will be required to sign a waiver before practice. No refunds or credits.